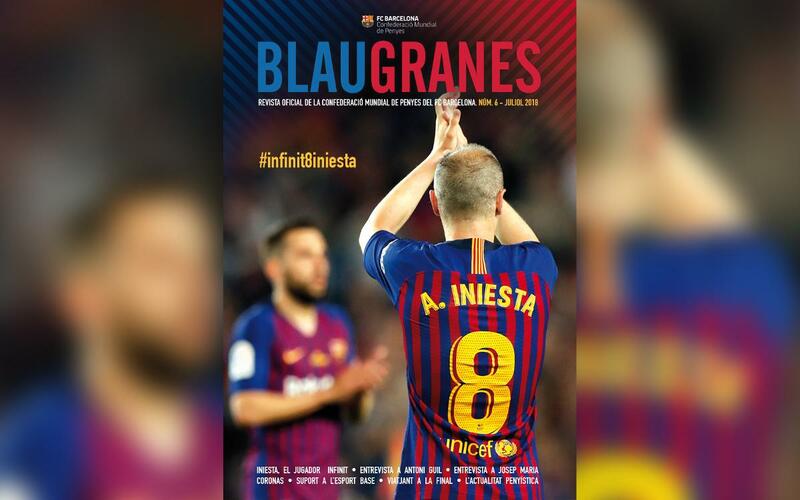 Issue 6 of Blaugranes magazine is now out for the start of summer with the tribute and the farewell to Andrés Iniesta as the main story, a emblematic member of the club that is described by fans as ‘infinite’. Also, to celebrate the third anniversary of the Confederation, the magazine looks back at those last three year, the achievements made and future targets. The innovative Junts+ programme, an interview with lawyer and economist Josep Maria Coronas and a review of the latest Supporters Clubs activities also feature in this edition. Here are the complete contents of issue 6 of Blaugranes magazine.